Steve Johnson was privileged to be sworn in as chief deputy on August 4, 2014. He serves as our executive officer over Law Enforcement which oversees the Patrol and Investigations divisions. Steve began his career with the Littleton Police Department in 1980. He retired from there in 2001 and joined the Colorado Bureau of Investigation as a field agent assigned to the Denver Major Crimes Unit. He also served as the agent-in-charge of that unit and as division director before becoming deputy director for the Denver, Pueblo, and Grand Junction investigative units. 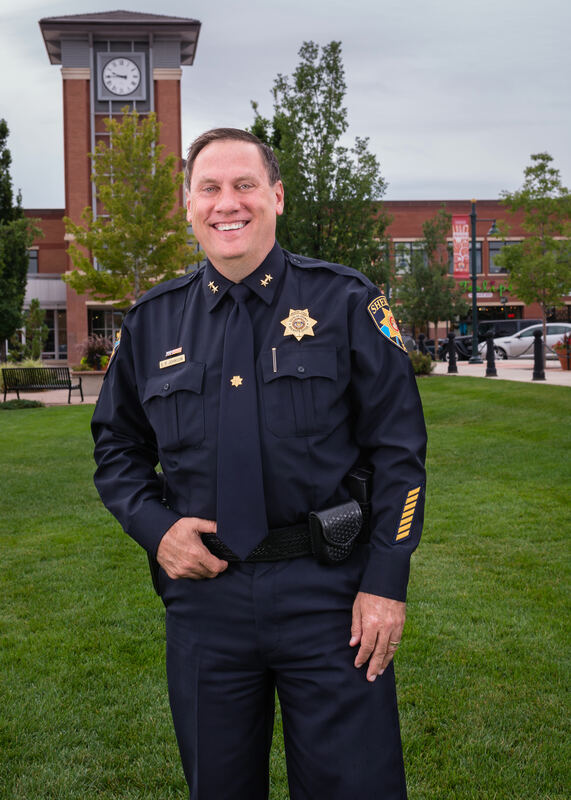 Steve was named Police Officer of the Year in 2000 for his leadership in the 18th Judicial District’s Critical Incident Team and also received the CBI’s Award of Excellence for his service during the 2006 Platte Canyon High School tragedy. Steve received his Master’s Degree in Criminal Justice Administration from the University of Phoenix in 2011. He is also a graduate from the FBI’s National Academy and the Police Executive Research Forum Senior Management Institute for Police. Steve joins the other DCSO employees who are dedicated to protecting our citizens and providing service with our vision, mission and values.